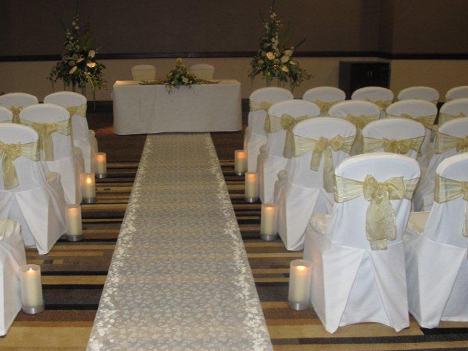 Ideally situated in the heart of Sheffield’s city centre, St Pauls Hotel & Spa provides the perfect setting for a couple seeking a stylish and contemporary wedding. 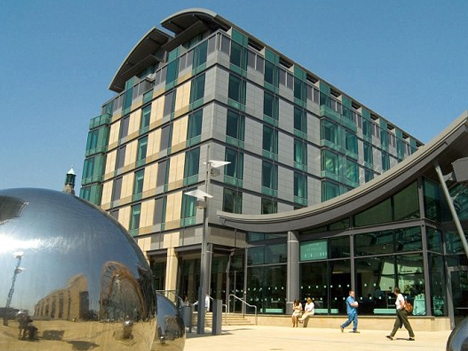 The 4 star establishment is surrounded by famous Sheffield landmarks such as the beautiful Winter Gardens, Crucible Theatre and Millennium Square making it a popular choice for the modern day couple. Set against the backdrop of the Victorian Town Hall, boasting spectacular fountains, water features and lawns, the Peace Gardens are literally on the doorstep of the venue, providing an oasis like setting for your photo opportunities. The elegant function suites cater for both large parties and intimate gatherings, and provide a luxurious backdrop for those picture perfect moments. 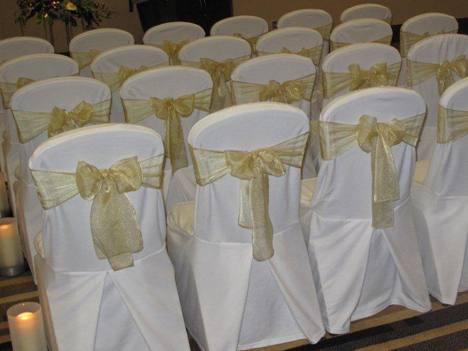 The Sweetly Seated Chair Cover Hire team have dressed wedding chair covers here on various occasions, each time providing a unique and personalised style to capture the essence of romance. The venue also offers a contemporary cuisine with an Italian restaurant serving up freshly prepared dishes in authentic Italian style with an open ‘theatre’ kitchen, equipped with an authentic wood-burning oven. It also hosts a stunning champagne bar where you can raise a toast to celebrate the occasion, and a chic Spa with a heated pool where the happy couple and guests can retreat to reflect on the day’s events. So, if it’s a spectacularly fashionable setting with a decidedly modern edge you require, look no further than St Paul’s Hotel & Spa, Sheffield.